“I use a lot of mineral pigments mixed in with RMS Beauty Lip & Skin Balm. Here I’ve used a yellow mineral pigment on the eyes, along with Ilia Beauty Lip Gloss in Peek a Boo”. “Don’t be afraid to play with colour, and use different products in ways you wouldn’t usually. I often use lipstick for cheek stain and eye gloss and layer that with lip glosses to build dimension”. Beauty look: same as above. Skin: RMS Beauty “Un” Cover-up. Eyes: RMS Beauty Living Luminizer. Lips: Bellapierre lipstick in Va! Va! Voom! mixed with RMS Beauty Lip-to-Cheek in Beloved. Cheeks: Ilia Beauty Illuminator in Sway. Eyes: Yellow mineral pigment mixed with RMS Beauty Lip & Skin Balm. 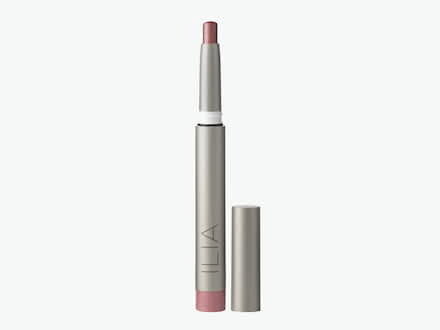 Lips: Ilia Beauty Lipgloss in Peek a Boo. “Smashed eyeshadows? No problem! Smash them up even more, then mix them into eye gloss or lip gloss to create new colours and textures”. “Instead of just using one lipstick colour, mix a few different colours together. The best part is it’s makeup and you can remove or change it, there’s no need to worry about colouring outside the lines. In fact I encourage you to colour outside the lines and see what beauty unfolds!”. Skin: RMS Beauty Un-Cover-up. 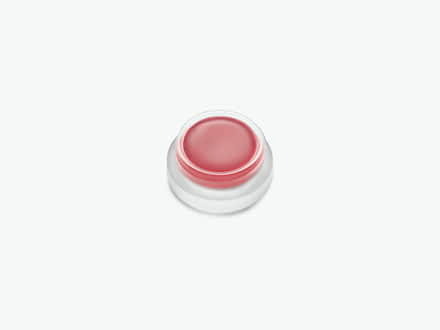 Eyes: RMS Beauty Living Luminizer. Lips: Bellapierre lipstick in Va! Va! Voom! mixed with RMS Beauty Lip-to-Cheek in Beloved. Don’t shy away from a little smudge, embrace it with RMS’ multi-use lip and cheek stain. Get skin looking it’s luminous best with this rose gold tinted highlighter.